Stan Kleppinger joined the Glenn Korff School of Music in 2007. He holds a Ph.D. and a master's degree in music theory from Indiana University and a bachelor's degree in music education from Drake University. Prior to his appointment to the University of Nebraska faculty, he was an assistant professor at Butler University and a visiting assistant professor at Indiana University. Dr. Kleppinger's research focuses on pitch-centric music of the twentieth century, and on exploring and clarifying the distinctions among pitch centricity, tonality, and the perceptions of both. This interest spun out of his earlier study of Aaron Copland's music, which earned him the Irving Lowens Article Award from the Society for American Music and the Dean's Dissertation Prize from the Jacobs School of Music at Indiana University. As part of that work he received a grant from the Hixson-Lied College of Fine and Performing Arts to spend a week at the Library of Congress in Washington, D.C., studying Copland's compositional sketches housed there. 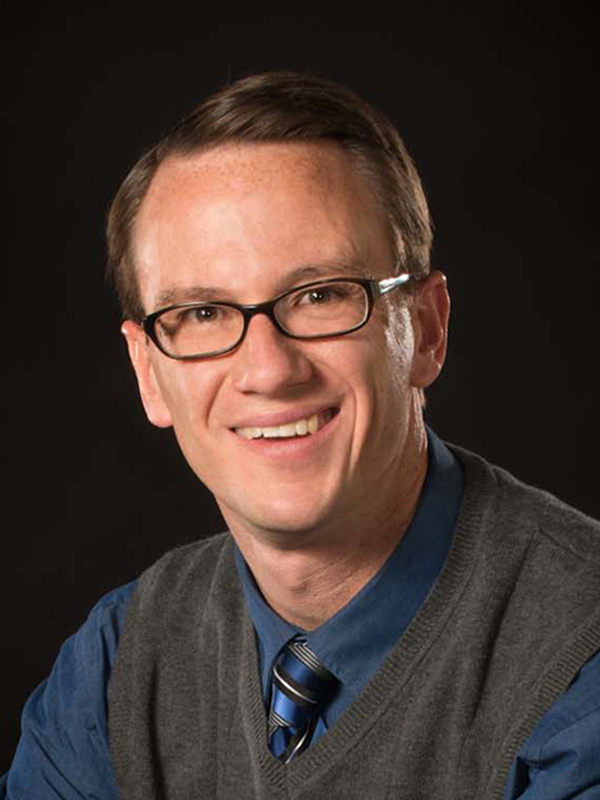 Dr. Kleppinger's writings have appeared in Theory and Practice, Music Theory Online, twentieth-century music, the Journal of Music Theory Pedagogy, College Music Symposium, Indiana Theory Review, and American Music. His research has been featured at national and international conferences of the Society for Music Theory, the United Kingdom's Society for Music Analysis, and the College Music Society, as well as at the Eighth European Music Analysis Conference in Leuven, Belgium. Dr. Kleppinger has also spoken about his research at events sponsored by Music Theory Midwest, the Music Theory Society of the Mid-Atlantic, the Rocky Mountain Society for Music Theory, Indiana University, the University of Iowa, Florida State University, City University of New York, the University of Missouri-Kansas City, DePauw University, and the University of Wisconsin. Dr. Kleppinger oversees the second year of UNL's undergraduate sequence in music theory and aural skills. He is the author of Tenets of the Tonal Tradition and Beyond the Common Practice, multi-media iBooks specifically written to function as the main texts for these courses. In addition, he also teaches or has taught courses in musical form, Schenkerian analysis, analytic techniques for tonal music, analysis for performance, pitch centricity, theories of rhythm and meter, and music research techniques. He has advised master's theses dealing with topics ranging from Schoenberg to Sondheim to synesthesia. Dr. Kleppinger has been recognized with several teaching awards, including the College Distinguished Teaching Award from the University of Nebraska-Lincoln in 2016, the Hixson-Lied College's Leadership Award in Curriculum or Programmatic Development in 2013, and the college's Junior Faculty Achievement Award in Teaching in 2010. At Butler University, he was named teacher of the year for the Jordan College of Fine Arts twice in three years by the school's chapter of the Mortar Board Society. Dr. Kleppinger served as secretary of the Society for Music Theory from 2012–2016. He is president of Music Theory Midwest, having previously been elected to consecutive terms as its secretary and hosting its annual conference at UNL in 2011. He has served seven times as a reader for the College Board's Advanced Placement exam in music theory. Dr. Kleppinger has been designated a "Friend of the Arts" by Sigma Alpha Iota, and serves as the faculty advisor to UNL's chapter of this professional music fraternity. He has also served as reviews editor for Indiana Theory Review and editorial assistant for Music Theory Online. He is a member of the Society for Music Theory, the Society for American Music, the College Music Society, Phi Mu Alpha Sinfonia, and Pi Kappa Lambda. In addition to his primary focus on music theory, he has a diverse musical and professional background as a trumpeter, composer, public-school instrumental music teacher, and conductor.